Ultra Music Festival, a venture that began in 1999 and has continued growing ever since, celebrates its 15th anniversary this year, the first as a sold out two-weekend event. While Miami may have hosted the festival since it began, that has not kept it from spreading across the globe, with festivals in South America, Korea, and, for the first year ever, to Croatia. However, this constant spread and a shower of accolades has not changed UMF’s founding principle: to deliver the biggest talents to their fans in an unbeatable environment. Whether you were lucky enough to journey to UMF this year, experienced it through YouTube and Ultra Live, or simply streamed the sets post-fact, it remains clear that this festival requires the best from artists. It comes as no wonder then that this time of year sees a cascade of releases, some licensed by Ultra and others simply in preparation for the event. 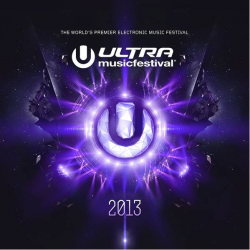 The UMF 2013 Compilation possesses a tracklist by the superstars of electronic music. As an official anthem, Avicii has finally given up what has long been known as “ID2” but hereafter will be titled “UMF”, a bright and bouncy progressive house track that shares many features of the original “ID”, “Levels”. On the other end of the spectrum is deadmau5’s “Superliminal”, a track from his album last fall that builds from minimally ethereal to all out war. Listen to a few of the additions below and grab a copy in preparation for weekend two, which again will be available to stream live Friday through Sunday.